No reservation is necessary to paint your own pottery. Walk into any of our studios to create, spend time with family and friends and have lots of fun! Find a Painted Pot Location Near You! 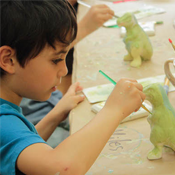 Schedule a party, or walk-in and paint your own pottery! We have a large variety of pottery ready to choose from. 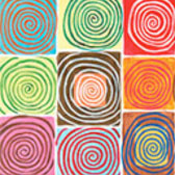 We are now offering acrylic painting on canvas and we will make the process easy, stress-free and fun for you. You have painted many masterpieces, maybe you've even thrown a pot. 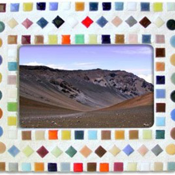 Now let us help you become a master of mosaics! Sign up for our newsletter to learn about new class offerings and promotions.